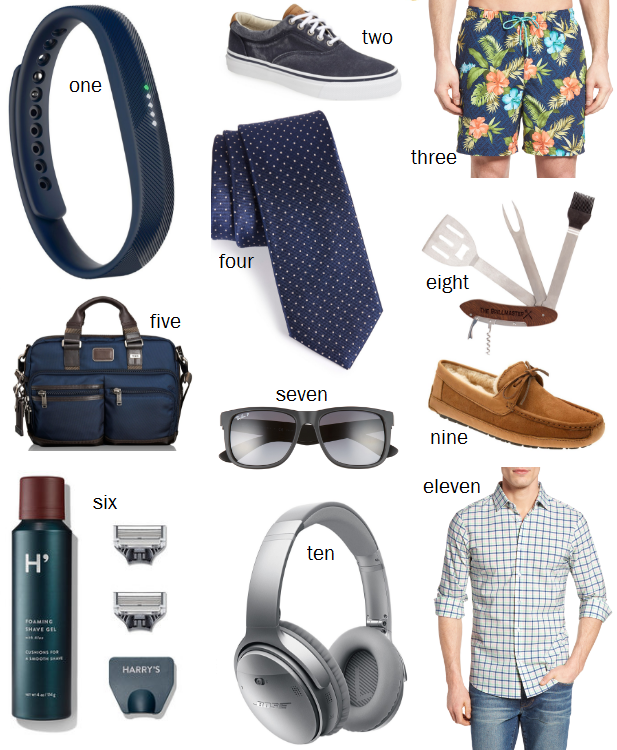 With Father's Day less than 2 weeks away, it's time to start talking about useful gifts for Dad. My dad is one of those people who puts everyone else ahead of himself so when buying gifts for him we like to treat him to something practical that we know he will get lots of use out of but also something great quality because Dad doesn't shop for himself all that often! Today I'm sharing a handful of gift ideas that are long lasting, thoughtful & practical for Father's Day! First up, let's discuss this button down shirt. I have talked about Mizzen & Main on my blog before but I really can't stress enough how amazing their products actually are. At this point, J has started his own little collection of Mizzen & Main button downs, Sarah's BF has one & this is going to be my dad's second one. I got him his first Mizzen & Main shirt for Christmas & he wore it all the time & each time he did, he raved about the stretch, comfort & ability to keep up with him (these button downs don't wrinkle, are sweat proof & can be tossed in the washing machine after wearing). They come in a bunch of colors (25 to be exact!) so I had a tough time choosing the perfect one, but opted for the York, a light blue & paprika plaid print. Perfect for spring/summer! Another gift idea for Dad? A Harry's Shave Kit! I've also talked about these shave kits on my blog before too & just like the shirts, the rave reviews for these shaving kits never ends. Harry's created a limited edition shave kit just in time for Father's Day & it has everything Dad needs to get the perfect shave. This kit comes with a storm gray handle, an engravable razor stand, a blade cover, extra blades & your choice of foaming gel or shave cream. The set arrives in a gray gift box ready to be handed off to Dad! The best part about this gift idea is how affordable the price is! This limited edition kit is only $30 & the quality is top notch! These are just two of my favorite gift ideas for Father's Day. Shop more gifts below! What are you gifting the Dads in your life this year? 6. Harry's Shave Kit - now offering the limited edition Father's Day set for only $30! 8. Grilling Tools - If you can't afford to get Dad a new BBQ for Father's Day, treat him to some new grilling tools. 9. Ugg Slippers - My Dad wears his slippers like they are going out of style. He is constantly needing a fresh pair. 11. Mizzen & Main Shirt - Available in 25 colors, this shirt is moisture-wicking, machine washable and wrinkle resistant. That's the sweetest thing that you included your dad in this post, Michelle!! My husband has been using Harry's razors for about a year now and really likes them! He usually takes my photos so it was fun to switch it up for this post! These are such great selections! Love how functional they all are, perfect! I love your gift ideas and that shave set is truly a practical gift for dads! Great blog! Actually I visit your blog first time through someone blog. So I bookmarked this content for further usage. Thanks for sharing such great content with us. Welcome! So glad you found me & liked what you read!